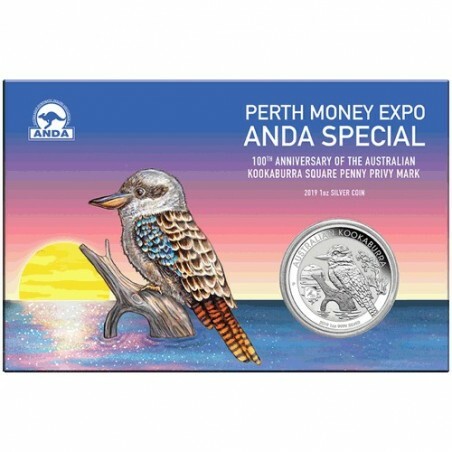 2019 $1 Perth Money Expo ANDA Special - 100th Anniversary of the Australian Kookaburra Square Penny Privy Mark 1oz Silver Coin in Card. 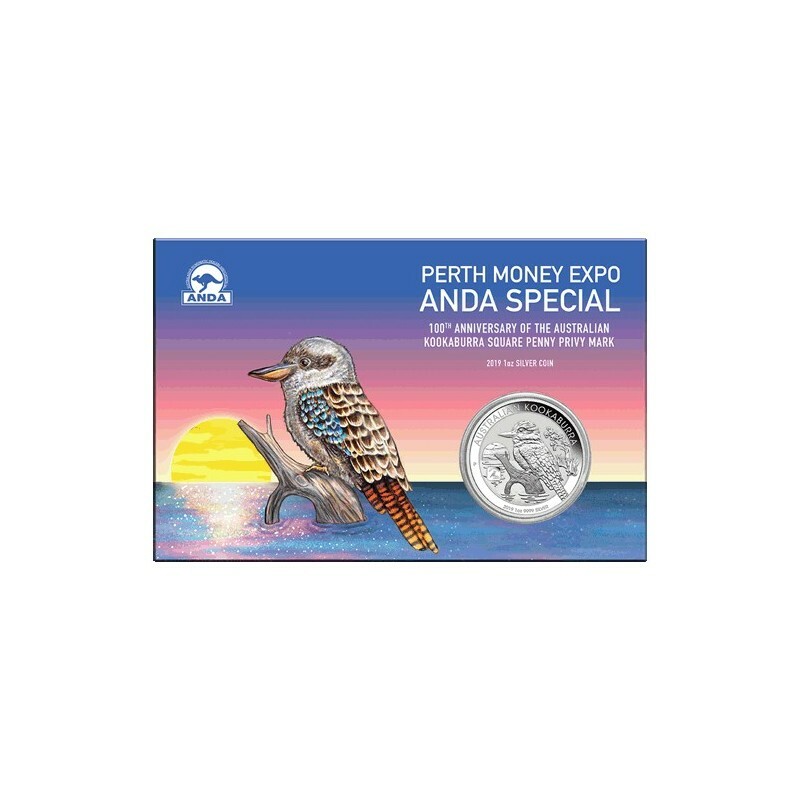 This year's Perth Money Expo ANDA Special features the spectacular 2019 Kookaburra design. 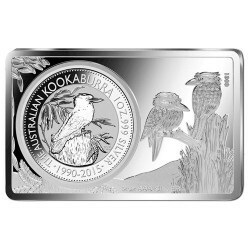 Commemorating the 100th anniversary of the kookaburra square penny design, the coin also features a privy mark featuring the historic kookaburra pattern. Struck by The Perth Mint from 1oz of 99.9% Pure Silver, the coin is issued as legal tender under the Australian Currency Act 1965. 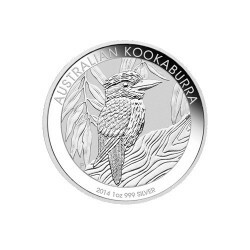 The coin's reverse features a kookaburra perched on a branch by a river at sunset. 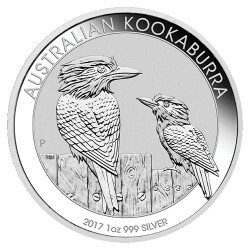 The design also includes the inspiration AUSTRALIAN KOOKABURRA, the 2019 year-date, the weight and fineness and The Perth Mint's 'P' Mintmark. In tribute to the 100th anniversary of the 1919 square kookaburra penny, a square privy mark depicts the historic kookaburra pattern, including the words AUSTRALIA and ONE PENNY.